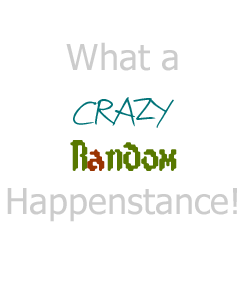 Little Miss Part 3 : What a Crazy, Random Happenstance! 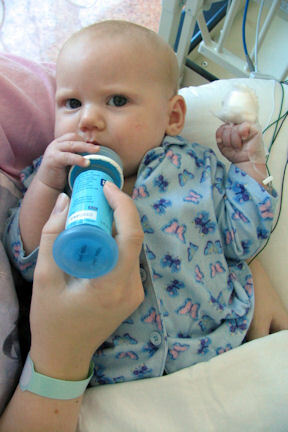 On the second day after surgery we were finally able to hold her and try giving her bottles. She REFUSED to take one from me. That didn’t bother the nurses any, they were all in love with her and loved to feed her. Luckily she only had to go about a day before they said she could try breastfeeding again, that made her one happy baby. We spent the next few days sitting around be bored. It was the worst for Little Miss because she just wanted out of there. 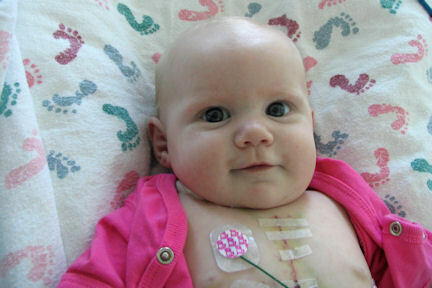 Every day we would see the on call cardiologist and staff and every day they were just amazed at her progress. On the morning of the fifth day of being in the hospital when rounds came by the doctor asked if we would like to take her home. Of coarse we said yes. So we waited for several hours and we finally got her discharge papers and filled everything out. After four and a half days we were out of there. She had several follow up appointments and everything was good at all of them. On her first birthday she had another echo and it was good so she didn’t have to have another until her second birthday. Her echo for her second birthday was so good that she was cleared for all activities. 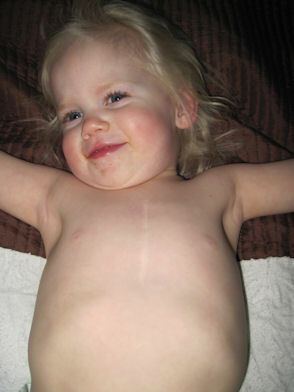 Her cardiologist even said that her scar is lighter than just about any his ever seen. These days Little Miss is a force to be reckoned with. She is stubborn as all get out and loves to do anything her sister does. You would never know that there was a time her life was in danger and that I spent my days crying. Most days I spend laughing at the silly things she does or sharing kisses. I love my little miracle.